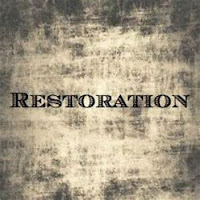 Are you in need of restoration? Has the previous season left you weary and broken? I have great news for you! 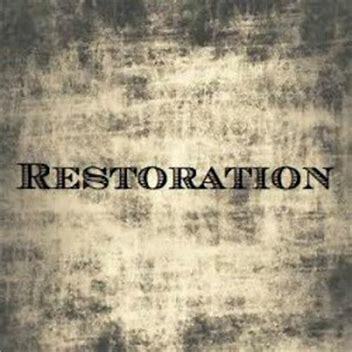 God is in the restoration business! This past very long season has been one that has shaken, refined, strengthened, and increased our faith. On Sunday, our pastor taught a message on Relief vs Restoration. His message was focused on helping the needy in our community. It was a great message and I encourage you to listen to it here. https://vimeo.com/eldochurch. (Permission given to use). He defined Relief as an immediate and temporary assistance. "much to her relief, she saw the door open"
Here’s what needing relief looks like to the one in need as I can honestly say this has been our situation for sometime. On the other hand, restoration looks very different. According to reference.com, the Bible has a very different interpretation. Years ago when we were first being trained in the prophetic, in hearing God’s voice, we would notice a “theme”. Often God speaks to others with the same or similar message. It is always encouraging as it’s great confirmation that what I’m hearing is on the right track. I want to share what I felt the Lord spoke into my spirit this week. Every January, I seek the Lord for a word, a scripture that I can stand on. Typically, it gives me hope and courage to continue to contend for the promises He has spoken to me. Last year, He spoke a year of surprises and Ephesians 3:20. Well, those were definitely the case. He surprised us in letting us know of “new plans” He has for us and He absolutely blew us away with His grand provision that brought “relief” in immeasurable ways. If you’ve been following the blog, you know many of the ways He showed up and blessed us. We are beyond thankful for your prayers, support and encouragement. As I was sitting with the Lord, I sensed that we had shifted from one season to the next. I sensed that in 2017 was a year of “relief.” And that it was! Joel 2:25 will repay you for the years the locusts have eaten- the great locust and the young locust, the other locusts and the locust swarm- my great army that I sent among you. It's time to step into the John 10:10 abundant life! Restoration takes on a whole new look. It is filled with promises straight from the Word of God. God’s promises are yes and amen and we are counting on these promises to come into fulfillment, even this year. Here are a few I felt led to share with you. I pray they encourage and strengthen you. I end with a few prophetic words that have been posted recently. These words have such confirmation that restoration is coming to many. I pray for you as well! In faithfulness He will bring forth justice’ (Isaiah 42:1-3). “‘By the grace God has given me, I laid a foundation as a wise builder, and someone else is building on it. But each one should build with care. For no one can lay any foundation other than the one already laid, which is Jesus Christ. If anyone builds on this foundation using gold, silver, costly stones, wood, hay or straw, their work will be shown for what it is, because the Day will bring it to light. It will be revealed with fire, and the fire will test the quality of each person’s work’ (1 Corinthians 3:10-13). 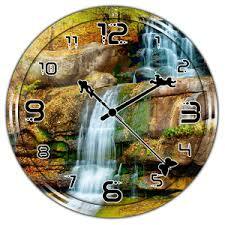 “Watch now, as I open the floodgates and pour out a blessing upon you that you will not be able to contain! I am turning the bitter waters of the previous season into My sweet waters of refreshing, renewal and restoration! As I bring my restoration, things will not be like they have been before, but rather you will experience even better. I am restoring your joy, and you will laugh again! For out of your belly shall flow My living waters (John 7:38). the rains are over and gone’’ (Song of Songs 2:10-11). “When the Lord restored the fortunes of Zion, we were like those who dreamed Our mouths were filled with laughter, our tongues with songs of joy. Then it was said among the nations, ‘The Lord has done great things for them.’ The Lord has done great things for us, and we are filled with joy.” (Psalm 126:1-3). Ken - please pray for a simple inexpensive fix - we have an oil leak that is getting worse so we are forced to take it in to shop. Appointment for tomorrow. Please pray for God's provision. What we really need and are praying for is a new SUV. Also, our prayer for sometime is that Ken could find consistent full time work that would be adequate to pay our bills. We feel we are where God wants us for now.....and so please pray that this prayer can be answered or God would shift us suddenly into destiny with full provision to do what He's asking of us. Michele - please pray for sleep - both of us are not sleeping well. I'm doing ok mostly, but I am still grieving the loss of Canyon - and the loss of not having any dogs at this time. Ministry - there have been several new connections recently and more opportunities to minister and bring transformation. We are contending and believing God for the retreat/equipping center to come into fulfillment.